The images shown are two examples of Remote Viewing of personalities. The first was from personal experiences I had in the Canadian wilderness. Events took place that could not be explained. I decided to check into what was behind these events. 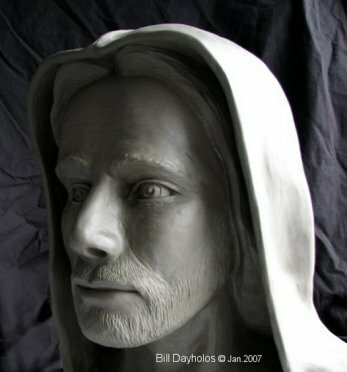 The images on this page are a composite of many RVing sessions for each sculpture. 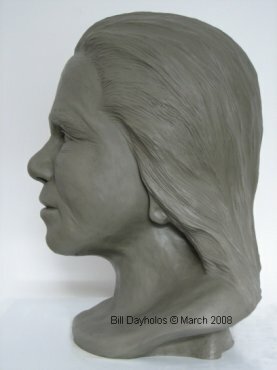 Although you can get a very clear picture, to recreate in an art form takes many sessions observing individual parts of the face for accuracy. Some times it took five sessions just to see as many angles possible of say, just the nose. 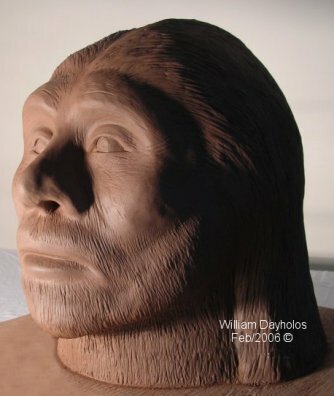 The Sasquatch shown is from central Manitoba. When I was asked to view this creature in the Alaskan region I found that they had a completely different in appearance and had a much more aggressive or secretive nature. When Remote Viewing subjects of any kind you obtain much more information about the subject then just visual. It is as if the higher aspects of the subject are taking you for a guided tour and leaving you with messages they want you to have or see. Both projects were very unusual and informative. Remote viewing an individual can be a long process. Sometimes you can get a clear picture of the complete face and other times only a small portion. It can also be a vision of the complete head that only lasts for a second or two. 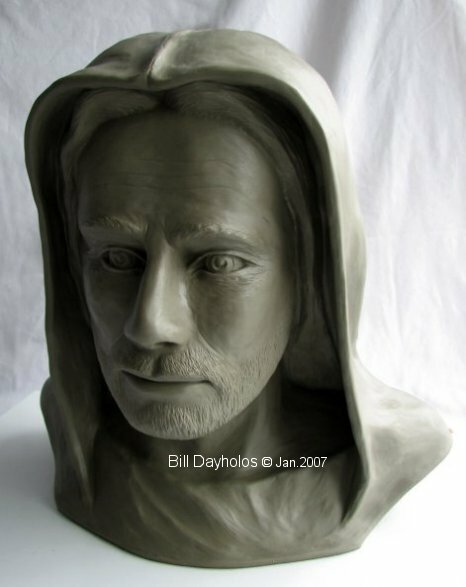 This is very little time when you are trying to replicate this person in clay. You can test this for yourself by viewing a stranger for a two-second period and then trying to draw their face. The image of the person that you are seeking also has to go through a clear understanding and permission based introduction. You start by asking to see their image, and from there proceed in explaining the reason for this need. If there is a message that this person wants to give through this projected image of themselves, then the process will have good results. Everyone has their own understanding and needs. This also applies to past historical figures with uncompleted work in the physical reality. The process becomes a symbiotic process of helping one another to achieve each other’s goals. The image of Jesus was a process of at least 15 to 20 different sessions over several months. To Remote view a historical figure a well-rehearsed training period in meditation is the greatest asset. You need to be able to drop all expectations and understanding of the individual and blank your mind. Below is a chronological account of the earlier sessions to show how the process can evolve. There was much more information that came through this adventure than is given in this article. First contact: Saw male body from two sides. Message was very clear to me but not a topic to reveal at this time. Message under the vision: Contact was possible with the person at any level that was required to "expose" the truth. Saw sun weathered forehead with three wrinkles. Message under vision: dry outdoor exposure created more advanced skin characteristics. Did mediation/journey with my partner. Floated around for awhile before settling down. Shortly afterward my energy started to rise – all chakras now opening to their fullest level. Energy continues to rise, entered calm point in a high vibratory state. Focused looking with intent, then as fast as can be imagined right into his face on the right side. A two-second experience, but when I hit his energy and the closeness of the vision I jumped and gasped for air. The power of the energy associated with the vision was very intense and in a very short period. This caused me to gasp out loud, enough that I disturbed partner’s journey. The spatial distance was approximately 12 inches for his face, looking at the right eye orb area. I had a clear view of his eyebrows, a side view of the eyes and top portion of the nose bridge. Vision was to my left upper screen (indicating past). These startling gasps from the energetic contact lasted for many sessions afterwards. Message under the vision: It only lasted a second but in this first connection with his eyes I was told that I needed to be introduced to energy and be incorporated" into the vibration. It was indicated that it would be one step at a time, this was more a feeling of safety for me due to the violent reaction I had to our differences and his level of energy. After this experience I needed time to settle down – not much happed afterward due to my "frazzled" thoughts. My thoughts also kept drifting in concern of how my partner was doing as she had stirred enough from her journey to look at me (it might have sounded like I had a heart attack). During my settling down period I journeyed back towards the last area (dimension). I ended up floating in a purple colored environment for a while then I saw a gold foil like patch appearing to my center-right. It was small and it had a ripped or ragged appearance. I do not know what this meant or was. From there a vision appeared to my lower right, a cylinder shaped object – it appeared to be a scroll case as the forward end of the cylinder had a decorative rim of gold. Following this, to my right, I saw another entity standing. Center and to my vision right, it was a human form, with a very round face. I asked who and what they were and was told it was a guide to help us with this contact process (a bridge). Floated again having a hard time settling down. I remembered how familiar his appearance was from some of the artwork I have seen over the years. Was reminded that they too (artists) connected in their own way to the projected image (this was not the first time a connection has happened). At this time I was informed that I needed to absorb and integrate more into the energy to go on. In doing so I was informed that I would be changed forever, but it would be beneficial and create abundance. I agreed but with the realization that I would still need to ask my partner if this was acceptable as it would affect our relationship. 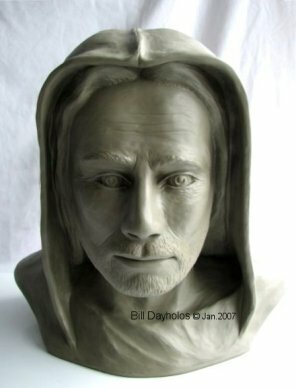 The truth is when I first entertained the idea of RVing this figure I was hoping that he was plane or unattractive (my nature of wanting to dispel old projections of what "good" is suppose to look like). From my visions of him I found that he was an attractive man. I asked why and if this was correct. I was informed that this is the nature of being in a balanced state of creation. A balanced person will have an attractive nature and less likely to create an imbalanced appearance. It was also important for him in his "Creational design" to be capable of attracting people’s attention so his messages would be heard. Floating again I found myself entering into a gray landscape. A dim light then appeared to my right upper quadrant. I approached the light, as it too appeared to get larger. I enter into the light, which increased my speed of travel, to a point the light turned into a tunnel. Streaking down the lighted tunnel like structure I can see markings on the sides but it was too fast to see what they were. I again broke out into a gray expanse with dim suspended but lit objects. They were all in a 3D pattern, in rows as in a grid fashion. I was curious to what they were so I approached one, close enough to realize they were Soul Groups (individual massive groups of souls or soul collectives, explained in my book) associated with the Earth consciousness. I was again shown the three wrinkles in his forehead and a scar on his left temple area. The scar was at a 45-degree angle and about a ¼ inch long, no information on its origin (felt like it was early in life). I was shown that a hood was to be expressed. It dipped in the middle at the top and was of a heavier material, with more square outer top corners. Message from the vision: it had something to do with people’s perception of hair, its length, and its status in culture. There was not to be any more "fences" put up but rather it was a process of bringing down the "fences" (or old concepts of right from wrong). He was always very careful on what was projected to me knowing which image was to be displayed. He is not impressed with the way things have evolved from his teachings. There is very little of his original teachings that are being exercised or taught by the ones that have the power to do so. For this reason, the future will be different in the way the teachings will be reintroduced. The last message received was that his life’s purpose and design here was to be a teacher. He became one and wants simply to be remembered as that, a teacher. There were many short connections that followed until a mosaic of the face was finally created. At times it was only a clear vision of one small part and then at other times I saw the whole head. This will be an ongoing process in which the public will be able to follow its progress. This includes the information that comes along with the actual images. The unfolding and the timing is just as important as the final image. I asked about possibility of interference with the Buddhist religion in my inquiry. I was told there is no chance of that and that there needed to be changes regardless. It was explained to me that the current religion is not what was originally designed (politics and age of religion being the contamination). I was basically asking permission, and these statements confirmed it. At that point I was shown a close view of a rabbit’s left eye - very clear - but I have no idea what it meant. Vision shifted to a massive pupil with just a small thin edge of an iris on the outside of my vision. 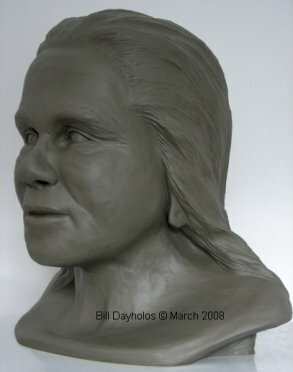 I then saw the back of man’s left shoulder area, wearing a red robe, quick view of left ear – possible elongated or stretched ear lobe. He felt my presence and turned very slightly to the left without completely turning around. Was told that he had body manipulations like tattoos or piercing and that he was "ashamed" of them. He tried to hide them for they dictated a higher-class sect and made it impossible for him to meld into a crowd of the ordinary simple people. He tried to hide this with hair and his robe (uncertain of what stage in his life). This class difference actually worked in his favor but he did not acknowledge this. It was all planned prior to his birth (higher nonphysical levels) and showed the populace more than he accepted about himself (that being of an upper class). To some extent it gave him the "attention" on the "street" that he would not have received in the beginning stages of his sermon if he were just a commoner. I then saw a tube or scroll case - ? - cylinder object with one end facing me and the other end extending to my right on a 45 degree angle. The closer end had a gold band with ornamentation around it. It was at that point I realized I forgot to ask for a specific time period in his life and this was probably why I was getting a mix of different images. In other words the search term was too vague. I did a small meditation at bedtime directed towards the Buddha. Vision opened up to a medium gray background with an indigo hue. 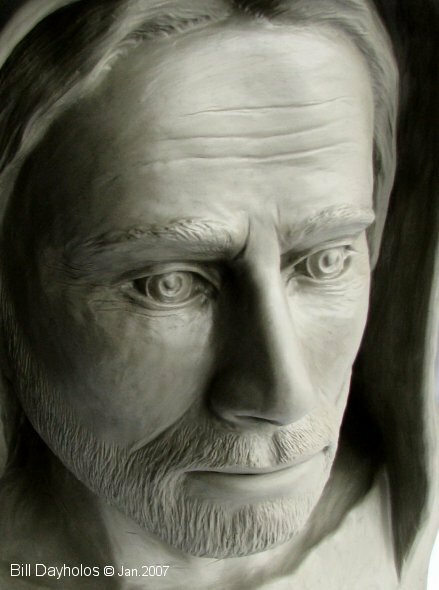 The gray background turned into a stone texture and then a stone face of a man appeared from the surface of the stone. This face then did a "Zoomorphic" transition into a lion’s face. I did not have a clue what this meant at the time. (I found out later in researching this topic that the Buddha is associated with the loin – "a lion among men" and associated with many sculptures of the Buddha is a loin. I found it validating to be presented with something unfamiliar, only to find out later what it means. After this scene faded there was a moment or two and then a clear image of a man appeared. He was in his sixties and of East Indian appearance. Clean shaven - could not see past the face to the hairline. This again was followed by a gray textured stone surface that had several human face parts surfacing, one after the other. In this series there was no complete face, only parts. Buddha’s perception of his life was that of living a lie, being of "noble class". One of his biggest fears and a personal failing was the worry of promoting "bountiful" or abundance. This was an inner clash that was created within him from a prior life of luxuries that he now knows are not needed. The masses and zealous political followers that knew no such personal life of luxury misinterpreted his staunch stand on this. The nonphysical aspect of him would like this issue resolved. During his physical life the environment was very different than now. The nonphysical aspect of him has a need to clarify this and is thus making contact to those that want to listen. New image and a clear look at his eyes….. one eye looking at the other … folded towards each other…..(missing a nose to separate them) – message in the symbolism; was to show his self examination. 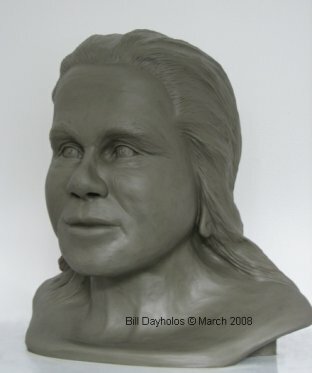 From this image, a human male face started a metamorphism into an ugly creature that diminished in size (still retaining some human qualities). This image faded into water flowing over the bottom steps of a staircase. The view was from higher steps looking downward.….from there the view shifted to a clear pool of water with blue sky reflecting in water (also some small white clouds in the reflection). The Steps symbolized clearing energy …washing, it pooled into a beautiful reflective environment. The steps were revealed as being last step to take, last in process, at the end of the flight of stairs. Saw concerned and serious look from his left eye…. purpose was to show need for correction – re-balancing, spin off process from original teachings. I was told that the Buddha explored the physical reality while Jesus explored the nonphysical realities (energy). In a channeling conversation both said that respect is the utmost importance. To them respect means; acknowledging or recognizing one’s level, and always in appreciation. Respect was and is the key that opens contact to each of these two teachers. Both Buddha and Jesus are drawn to this a main teaching. Buddha - Respect all life. Jesus - Respect all energies. Clear and in color view of his lips. They were full in an "average" way. The view then shifted to the base of an old tree with many gnarly roots around the ground. There was a slight slope to the ground with small slab stone edged walkway. I asked for the Buddha Siddhartha "the lion of men" after his balanced enlightenment. A stone gray bust appeared which was viewed from his left side only. I recognized the individual and this time I clearly saw that he had wavy medium to long hair. 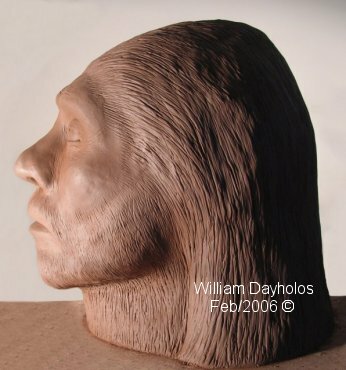 I also noted long earlobes from prior adornment (not as long as shown in typical later or modern statues). What were also very noticeable were two large tears on his left cheek. There was a general feeling from the image of sadness??? Saw triangle area between eyes and the forehead. Also scar/wrinkle in left check only. Receding hair line – combed back at top of head. I inquired about the wrinkle and the answer was in the way he slept at night....something to do with the type of surface he slept on and the way his head/face was positioned on it.